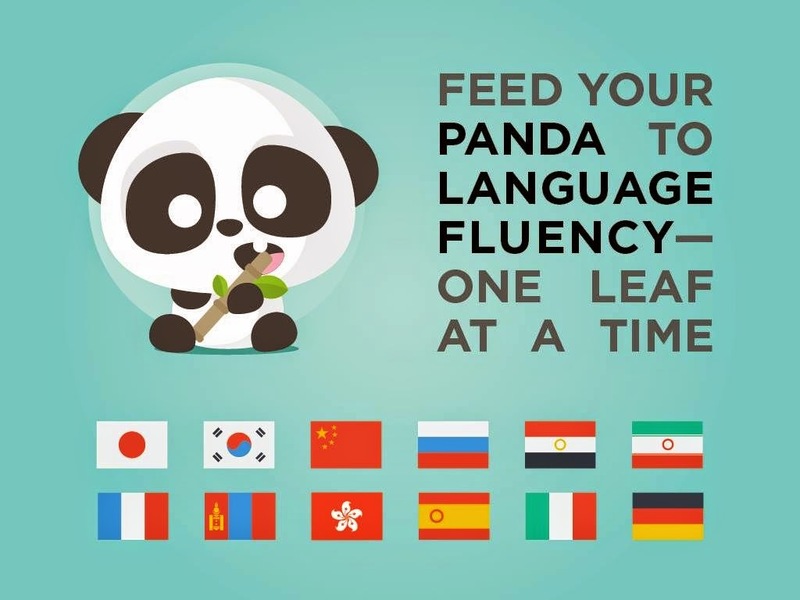 EduLift, a small startup founded by two Harvard University and University of Oxford students who are passionate about language learning, but unsatisfied with any method on the market, has started a Kickstarter campaign to develop the mobile app Fluent Panda . This project will be funded if at least £25,000 is pledged by Mon, Apr 27 2015 5:39 PM -03:00. In Panda, players are expected to learn languages through interactive lessons optimized for the smartphone, review using advanced algorithms, and feed & grow their own panda through every-day playing. The developers have narrowed down their proposition to a product perfectly adapted for a single platform – mobile, a particular type of learner - busy self-learner, and an audience who is starting from absolutely zero. 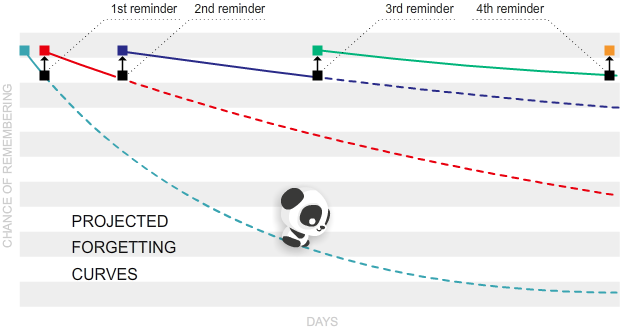 Spaced repetition (SRS) is one of many bits of science that Panda uses to make learning as effortless as possible. The language is presented in interactive, tweet-length lessons that make use of spaced repetition. EduLift has built on years of experience teaching languages to self-learners to develop a new teaching method that combines scientifically-proven spaced repetition algorithms with a user-friendly design and hand-crafted content optimized for busy lifestyle. According to EduLift, many polyglots make use of this finding, but traditional SRS software is complex, difficult to set up, and ill-adapted for learning entire grammar points rather than just individual vocab items. Fluent Panda's innovations do not stop at the technology behind it. The focus of the application is the hundreds of pages of developers’ bespoke textbook series that are skillfully broken down by experts in language pedagogy into a form that is ideally suited to the smartphone screen. Each lesson, or 'leaf' as developers call them, will focus on just one particular aspect of the language, seamlessly combining vocabulary, grammar, listening and script practice into a format that is perfect for short, but regular study sessions. At each funding goal, EduLift shall launch not only content for several foreign languages, but also free English learning apps for developing countries as they believe that in those countries learning the English language can be life-changing. Therefore, they will not charge users in developing countries a fee for using their application, but rather fund its development with revenues from for-profit sister apps, with additional support from NGOs and local governments who see the value in making quality foreign-language education available universally. £25,000 - Launch the first Panda app with Japanese, Mandarin and Korean courses going up to at least intermediate level. The team states it has over 5 years of experience working on award-winning educational products for learners of Asian languages and are super confident that their proprietary algorithms and methodology provide an ideal basis for teaching these three languages. They shall also launch a Free English Panda in Mongolian, providing free language education to over half a million people with very limited access to learning resources, in the fastest growing economy in the world. £30,000 - Their first stretch goal is Russian, the world’s fifth most spoken language. The team states it has over three years of experience teaching Russian and other Slavic languages. They shall also release a Free English Panda in Russian. £35,000 - Their second stretch goal consists of Arabic, Farsi and French — three languages that will get you by across the Muslim world. They shall also release a Free English Panda in Farsi, reaching millions of learners in the Middle East without ready access to language classes. £45,000 – Their third stretch goal includes Spanish, German and Italian — three essential business languages spoken across the globe. They shall also release a Free English Panda in Spanish. £50,000 – Their fourth and last stretch goal is Cantonese, the official language of Hong Kong. They shall also release a Free English Panda in Mandarin, reaching hundreds of millions of learners across mainland China and beyond. In the last four years, while pursuing their undergraduate studies, two internationally-minded Harvard University and University of Oxford students launched several award-winning educational games and online communities at https://lingualift.com/ with a combined user base of almost 100,000 students, and a language learning blog with over 50,000 readers every month. They’ve received no outside funding, and are entirely self-sustained. They are now ready for a new chapter. Ready to build on years of experience in language learning innovation to make a lasting impact on regions where people would benefit from learning a second language the most. Philip Seifi is a Russian designer, developer and nomad entrepreneur. It is he who developed the original award-winning NihongoUp Japanese learning game in 2009, while still at high school. He studies econ & gov at Harvard and in his free time enjoys horse riding, chess, ping pong and cooking. Ollie Capehorn studied Law with French at Oxford. He has been working with Philip on NihongoUp since 2010, fresh after representing the UK in a Japanese speech competition in Tōkyō. Whilst not studying, he is an active stand-up comedian and a keen debater. Marie Ballarini studied at the Sorbonne University, Paris, majoring in Law and Economics. She also works part-time as a singer and voice artist. A keen linguist, she is bilingual in English, and is the voice of our French audio. She also helps head up the French team.